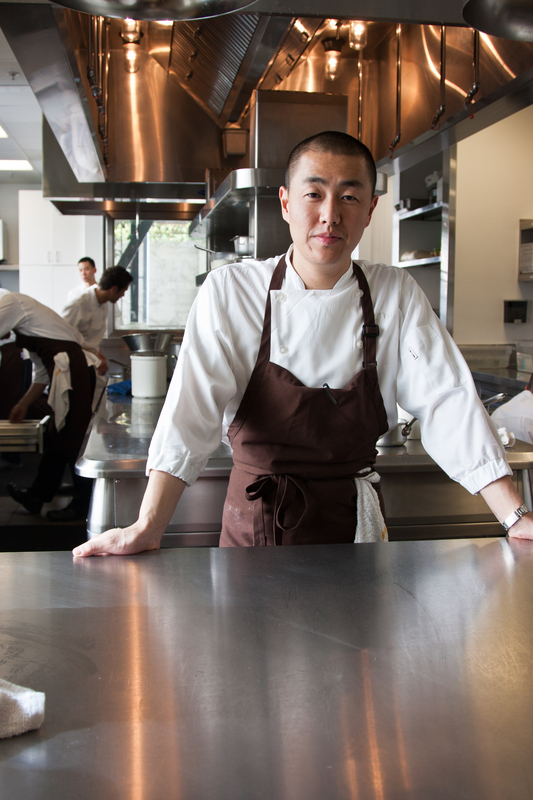 Corey Lee standing in Benu's sunny kitchen. 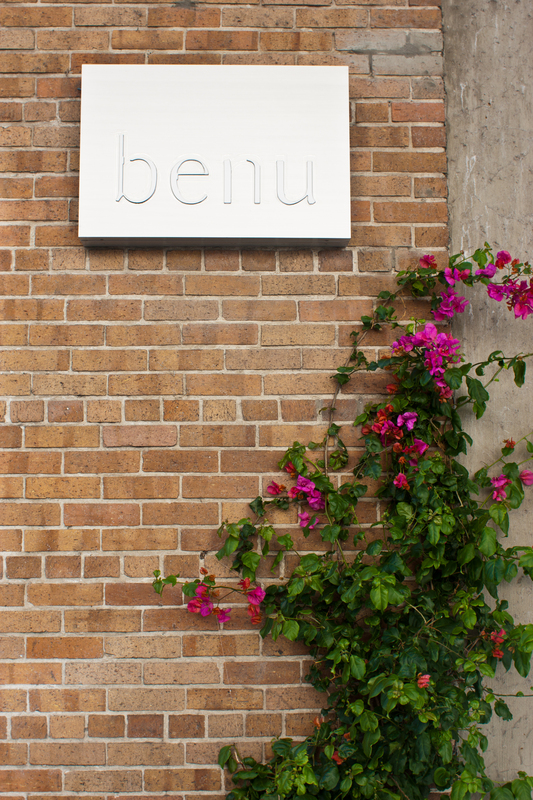 I interviewed and photographed Corey Lee at his restaurant Benu for the November 2011 issue of KoreAm magazine. What a treat. 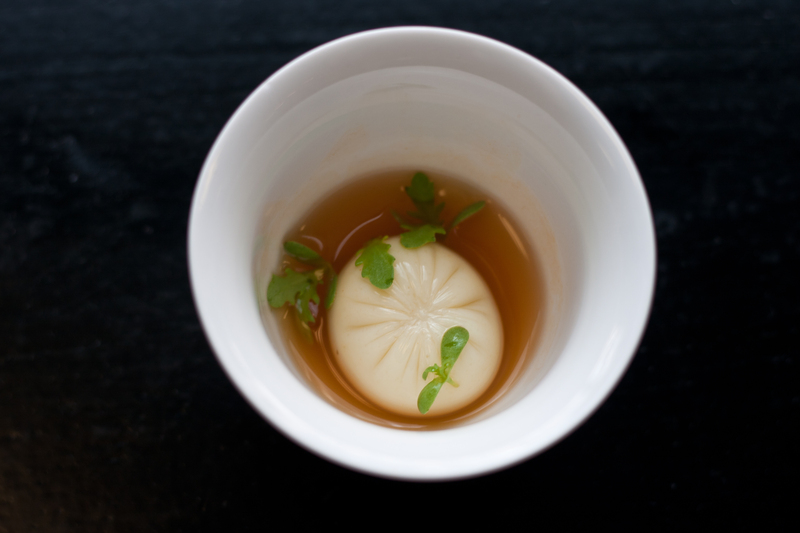 Set in an alleyway in San Francisco’s SoMa neighborhood, the restaurant, which opened in 2010, has already garnered two Michelin stars. Here’s a look at some of the pictures that didn’t make it into the magazine. To read the full article, click here. 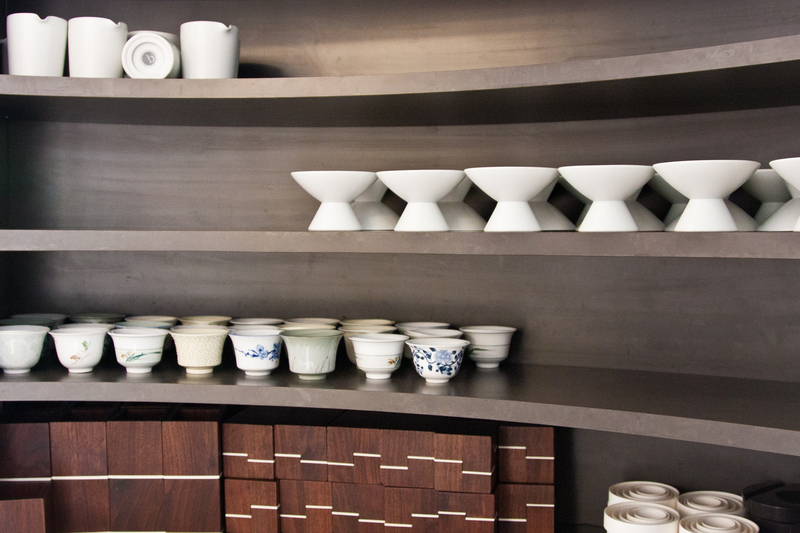 Lee designed the tableware for his restaurant with a renown Korean porcelain maker. 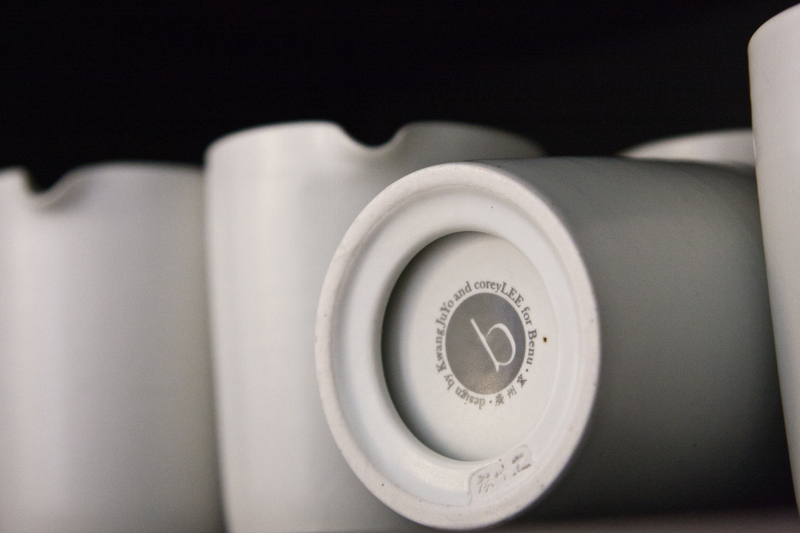 A cup bearing Lee's moniker. Homemade tofu in kimchee broth with chrysanthemum leaves. A modern, minimalist sign serves as portent to the dining room's style. 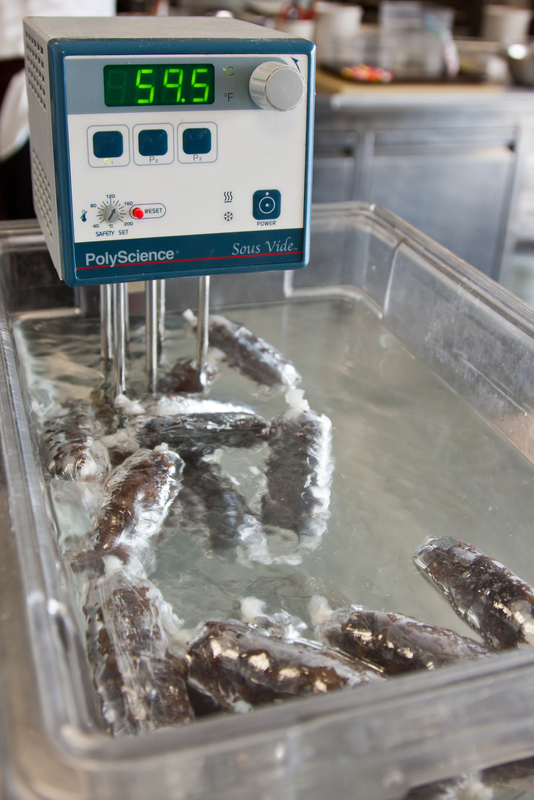 Sea cucumbers bubble in a sous vide machine. Lee co-wrote a book on the cooking method with his former boss, Thomas Keller of French Laundry. 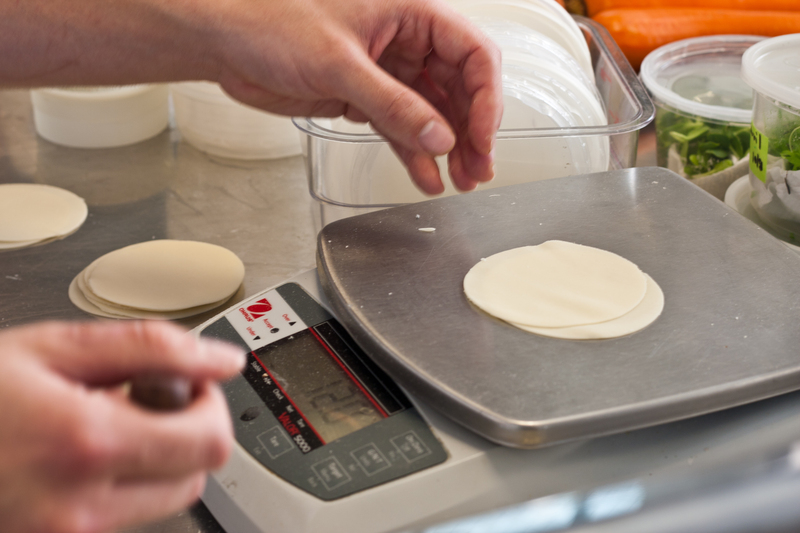 One of the kitchen staff weighs each pair of dumpling skins. 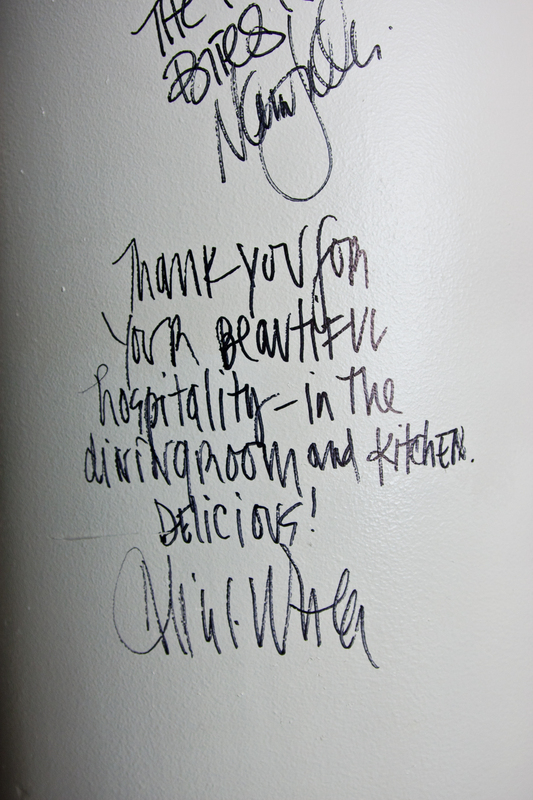 Well wishes decorate a plain white column in the kitchen. 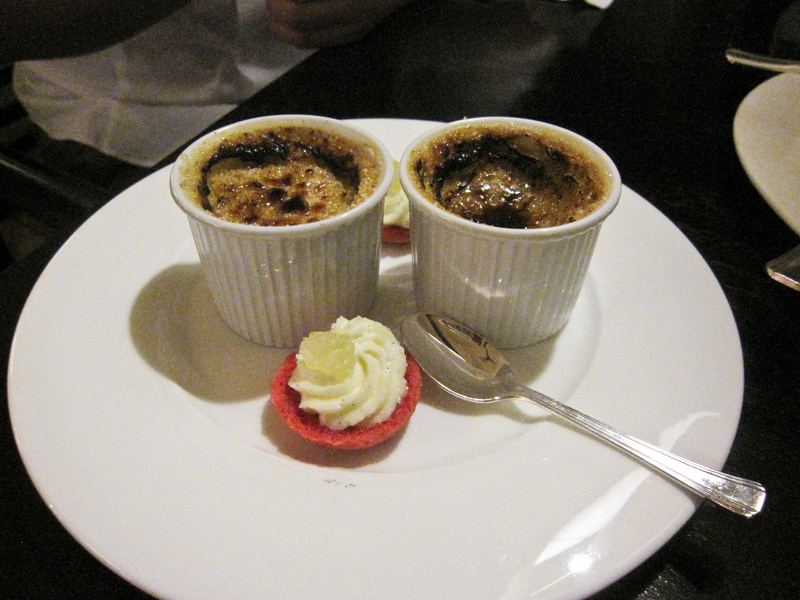 This one is from the famed Alice Waters of Chez Panisse in nearby Berkeley, Calif. This entry was posted in Articles, Asian American, Food, Korean American, Photography, Portraits, San Francisco and tagged Benu, Corey Lee, KoreAm magazine, Korean American, restaurant. My version of a traditional Korean wrapping cloth, only made in stone. It now sits in my minigarden, the lone product of my mosaic ambitions. The SF exhibit, which comprises works by more than 30 Korean artists and dozens of others from countries as diverse as Finland and Japan, features some amazing traditional and non-traditional takes on the artform. Two of my favorites by Eun-Ji Lee and Yeon-Joon Chang take wildly different interpretations of the bojagi concept. For years I wanted to make something that honored this same tradition, but, alas, I did not inherit my mother and my halmoni‘s sewing genes. 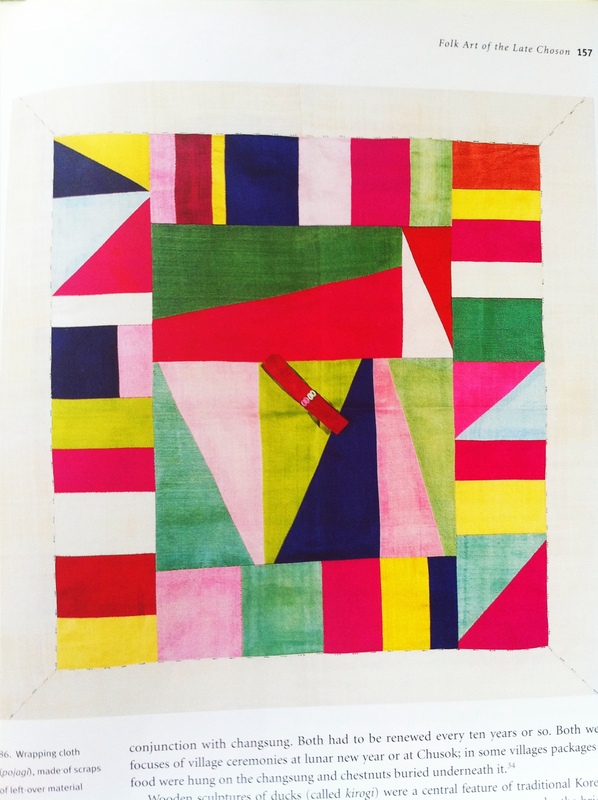 I tried to convince an old roommate who’d become obsessed with quilting to make some bojagi. 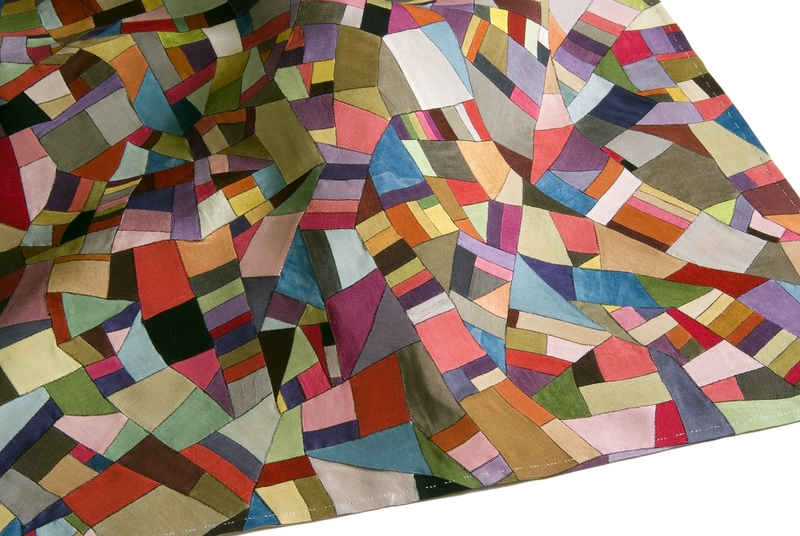 But despite her Korean roots, she was more into making traditional Western quilts and the like. Then in 2009, just after moving West to California, I enrolled in a mosaic’s class. I can’t draw, paint or sew, but I can arrange, darn it! And so I made the best homage I could out of broken tiles and mortar. I realized that I will never be a great mosaicist, but the stepping stone makes a nice addition to my porch garden. The Museum of Craft and Folk Art is located at 51 Yerba Buena Lane, San Francisco, California. Museum hours are Wed. through Sat. 11 a.m. to 6 p.m. (closed Sun. to Tues.). Admission is $5 for general public, $4 for seniors, (62 and older). For more information call (415) 227-4888 or visit www.mocfa.org. The inspiration for my mosaic bojagi from Korea: Art and archaelogy, p. 157. 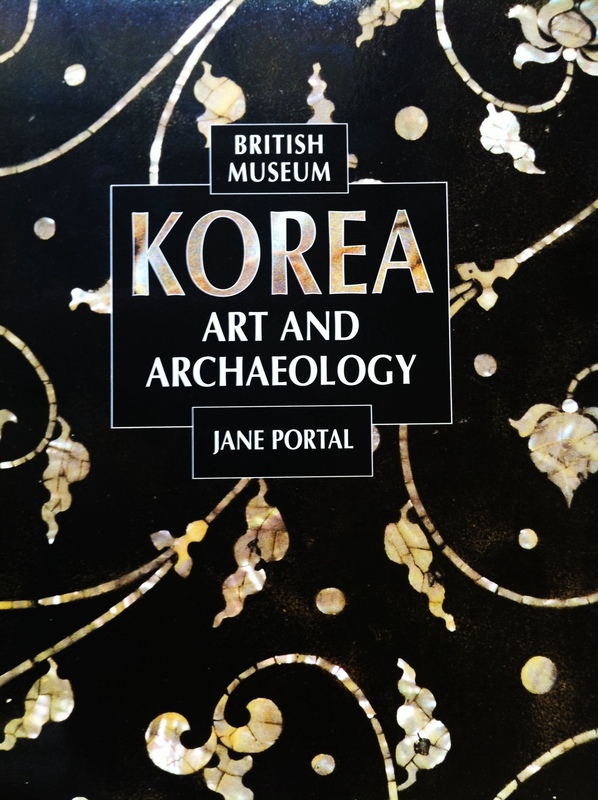 Written by Jane Portal, Korea: Art and archaeology was published by the British Museum Press in 2000. This entry was posted in Asian American, Korean American and tagged bojagi, cloth wrapping, Korea, pojagi. My second cousin and his beautiful family came out to California recently from Missouri. I feel so lucky to have such amazing people in my life. This is a picture of my second cousin once removed, who is a Korean Panamanian Chinese European American and a true delight. 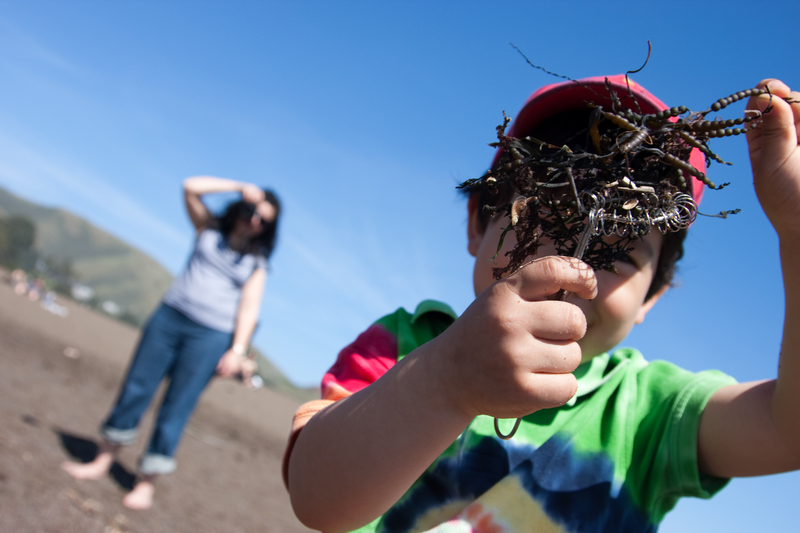 This entry was posted in Asian American, Family, Hapa and tagged beach, family, Marin. Spent this past Friday and Saturday at the first ever Hapa Japan Conference, which was held on the campus of UC Berkeley, my beloved alma mater. The event was organized by Duncan Williams, the head of the Center for Japanese Studies. Luminaries on the subject were abundant. Found myself engaged in thrilling discussions with so many of the scholars whose books and academic papers I studied as an Asian American Studies major. Professor Michael Omi, who I took many classes with as an undergraduate, moderated the session, “A Changing Japanese-American Community,” which featured presentations by Cynthia Nakashima, another instructor of mine, and Christine Iijima Hall, whose ground-breaking work on African American Hapas I also studied in college. Rebecca Chiyoko King O’Riain, an old acquaintance from the Berkeley Hapa Issues Forum days (HIF), presented “Cherry Blossom Dreams: Racial Eligibility Rules, Hapas and Japanese American Beauty Pageants.” If you get the chance, check out her book, Pure Beauty: Judging Race in Japanese American Beauty Pageants (U-Minnesota Press, 2006). She’s an amazing woman and an amazing scholar too! My friend Tony Yuen (M.A. UCLA Asian American Studies and a director at UC Berkeley’s Education Abroad Program) organized an HIF reunion. It was fantastic to see so many of these incredible folks again. Awesome work, Tony! This entry was posted in Asian American, Hapa and tagged Asian American Studies, Ethnic Studies, Haafu, Hapa, Hapa Japan Conference, UC Berkeley. I remember taking my first Asian American Studies class freshman year of college. I loved every minute of the lectures, it was a whole new world to me. 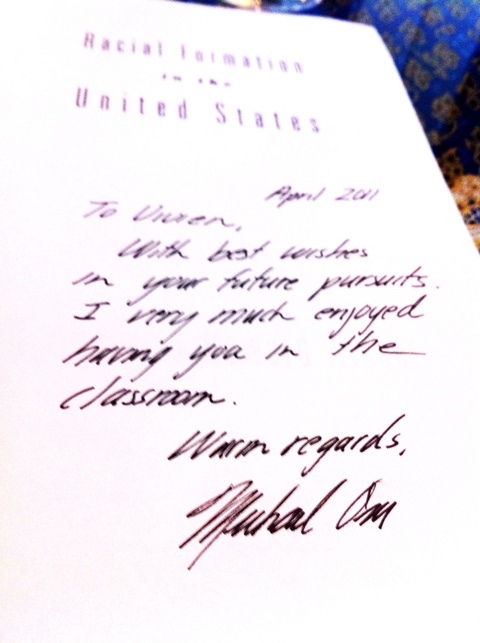 I also loved my professor, who had written one of the seminal Asian American textbooks used at universities around the country. My T.A., however, was a different story. She didn’t like me, and the feeling was mutual. One of our semester projects was to interview someone from the Asian American community. This paper was to serve two purposes. First, it was to teach us that the lives of Asian Americans around us were a part of Asian American history, and second, to teach us about the process and importance of recording oral history. Like many of my classmates, I chose to interview a family member—in this case, my mother. I interviewed her while home for Thanksgiving break, and painstakingly transcribed the recorded interview before turning in the paper. Back at school, I had a dorm mate who was also in the class. He was more of a science guy and had asked for help with his writing. And what a mess it was. He had chosen to tell the story of his grandmother, who, back in prohibition days, had sold bootleg alcohol down in Chinatown. I had never known another fourth-generation Asian American, so I found the story riveting, if messily told, and worked hard to help him organize the paper and tell the story right. A week or so later we both got our papers back. My friend got an A+ and I got a B-. On his paper, our T.A. had written that it was a fascinating tale but he should work on his writing. On mine, she wrote that, while excellently written, it wasn’t an interesting enough story. Wow. My mother’s story wasn’t interesting enough? Who could say that to an 18-year-old kid? 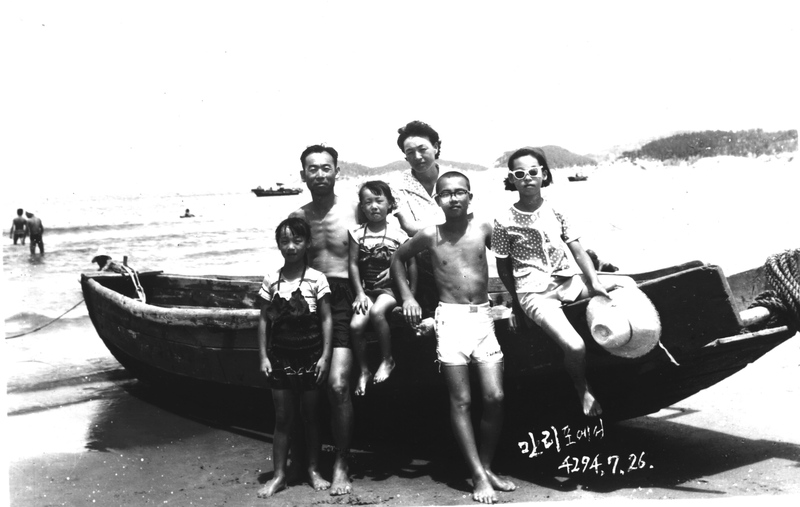 It went unsaid, but I knew what she was thinking: The story of a Korean American woman moving with her family to the States and marrying a white American was not the narrative she wanted to hear. 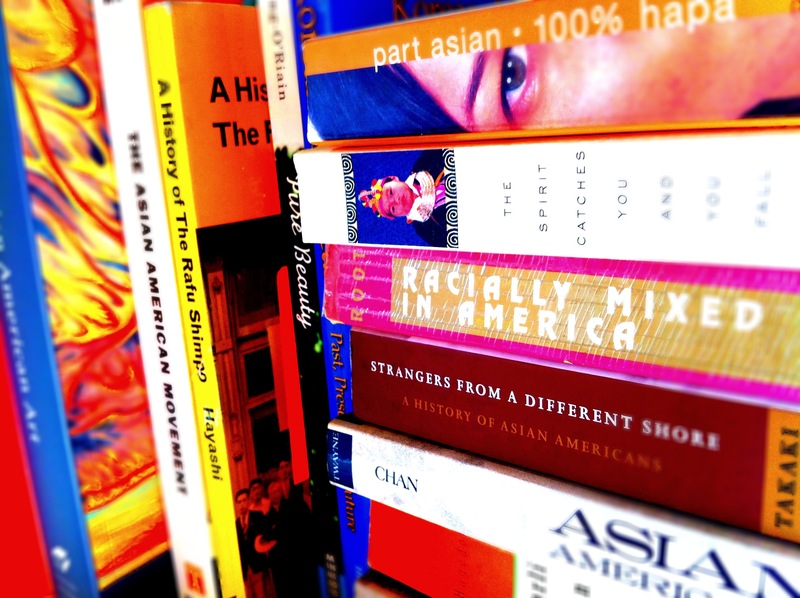 It was not the version of Asian American history that pleased the activist language of our coursework. It was the kind of story that propagated academia’s definitions of assimilation, of bowing to the mainstream society, to Eurocentric beauty ideals, etc. The crazy thing is that my mother’s story, and my story at that, is so much a part of what made and is making post-1965 Asian American history. If you look at patterns of what the community calls “out marriage,” it is an undeniable statistical reality. One that continues to grow, whether the community welcomes the idea of interracial marriage or not … It is a reality that many Asian immigrants married Americans of other races, just as much as it is a reality that some people came for economic reasons, others as refugees and still others as wives of military personnel. I never felt the same about that T.A. again. I did, however, continue to take Asian American Studies, which I eventually majored in … And I joined Korean American, Pan Asian-American and multiracial Asian American organizations throughout my undergraduate years. The latter brought me into a fold of fascinating people and interested academics and inspired in me a strong desire to help redefine what it means to be Asian American. I got to travel to conferences, speak on panels and even participate in documentaries about the movement to include mixed race individuals as a legitimate part of the Asian diaspora. I continue to be involved in the Asian American community to this day, thanks to other instructors who were much more encouraging and inclusive about my identity and interests. Whether your relatives came over on the first diplomatic mission from Japan or flew east into LAX in 1985, you are still part of Asian American history. Your grandma could have sold illegal liquor in the old Chinatown or, like mine, worked tireless hours, folding and refolding towels in a family-run Georgia motel. Either which way, they came to the States and made it work. So I’m proud of my Korean immigrant mother who married a Connecticut-born frat boy she met on a blind date … Because she made history; she made part of what is Asian America today. After note: I hung out with my old dorm mate two years ago while in Maui for a wedding. (He’s an optometrist there.) 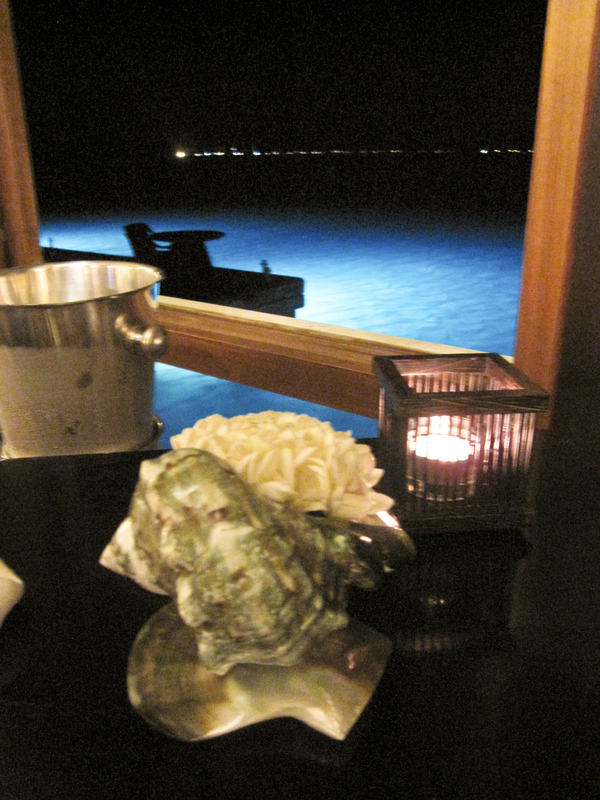 Over dinner he mentioned that paper and thanked me again for helping him get an A. Ha. A happy ending for all! This entry was posted in Asian American, Family, Hapa, Korean American and tagged Asian American history, Asian American Studies, multiracial. 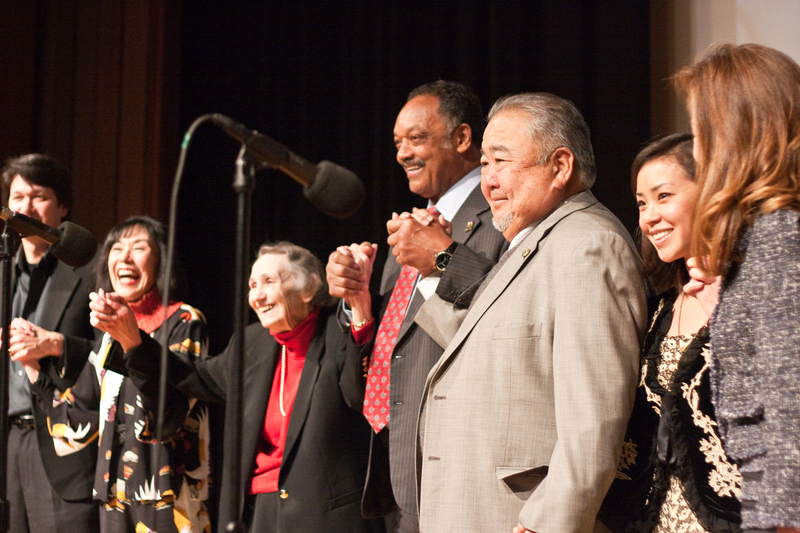 On Sun., Jan. 30, family, friends and fans of the late Fred Korematsu, filled UC Berekely’s 705-seat Wheeler auditorium. The sold-out program, which featured Rev. Jesse Jackson as the keynote speaker, was in honor of the first ever Fred T. Korematsu Day, a California holiday acknowledging one Japanese American’s continued fight for civil rights. Signed into law last September, the day harbors a mission of education: The events leading to the incarceration of Japanese Americans during World War II must never be repeated again for any group of Americans of any creed or of any culture. It was an honor to cover the event (see article), and especially compelling as a UC Berkeley Asian American Studies grad. I learned about the Korematsu vs. the United States (1944) case my freshman year of college. It was during an introduction to Asian American studies class, a course that opened my eyes to a history I never knew I had. Four (and a half) years later, I sat in the same Wheeler auditorium with dozens of other Ethnic Studies program grads. We had caps and tassles on our heads and yellow Third World Liberation Front bands on our arms. We were then remembering another struggle, that of the the 1965 Civil Rights movement, and protesting the potential scaling back of the beloved programs those struggles had won. The message was similar: Remember the past. It will help you make a better future. While my English department graduation was more grand in scale — with more than 400 students tossing beach balls as thousands of audience members looked down from the Greek Theatre’s seats above — my Asian American Studies graduation was far more personal. To me it represented both my identity as an Asian American/Korean Amerian/Hapa American and the new relationship I had with my country — one that was honest and inclusive and one that I felt I should fight for. Here are some photos I snapped for the event, which I covered for the Nichi Bei Weekly. A screenshot of Fred Korematsu as a young man. A screening "Of Civil Wrongs and Rights: The Fred Korematsu Story," a documentary by Eric Paul Fournier, was shown after the ceremony. Left to Right: Korematsu family members — son Ken Korematsu, daughter Karen Korematsu and wife Kathryn Korematsu — join hands with Rev. Jesse Jackson, California assembly member Warren Furutani, Korematsu Institute Director Ling Liu and news anchor Sydnie Kohara on on stage at UC Berkeley's Wheeler auditorium. 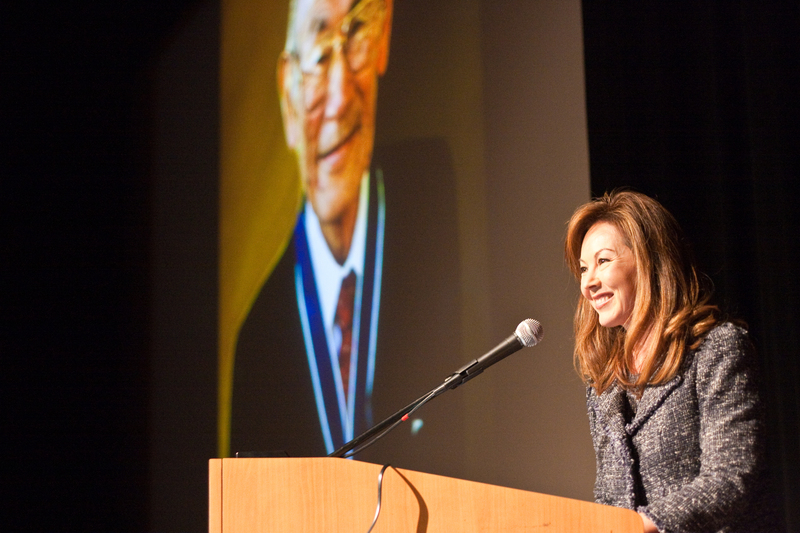 Emcee Sydnie Kohara, an anchor for CBS 5 Eyewitness News, stands in front of a screenshot of Fred Korematsu who wearing the Medal of Freedom, presented to him by President Clinton. Kohara, a Louisiana native, said she did not learn about the Korematsu case until after college, when she moved to California. 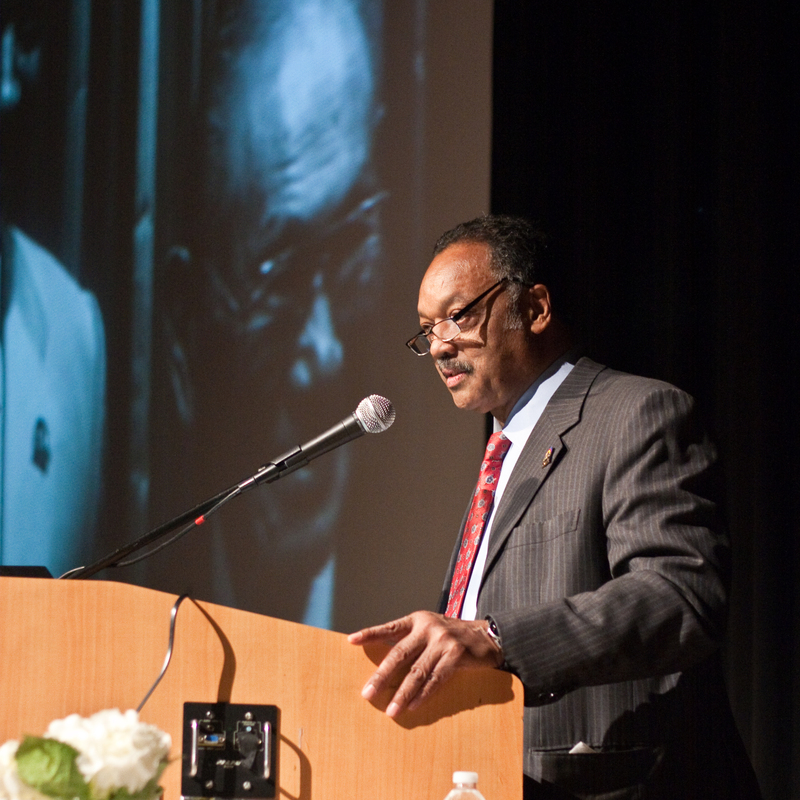 Jesse Jackson stands in front of a slide of him with Fred Korematsu. Jackson said he would never forget meeting Korematsu, who he described as a modest man with “quiet, unflinching courage." 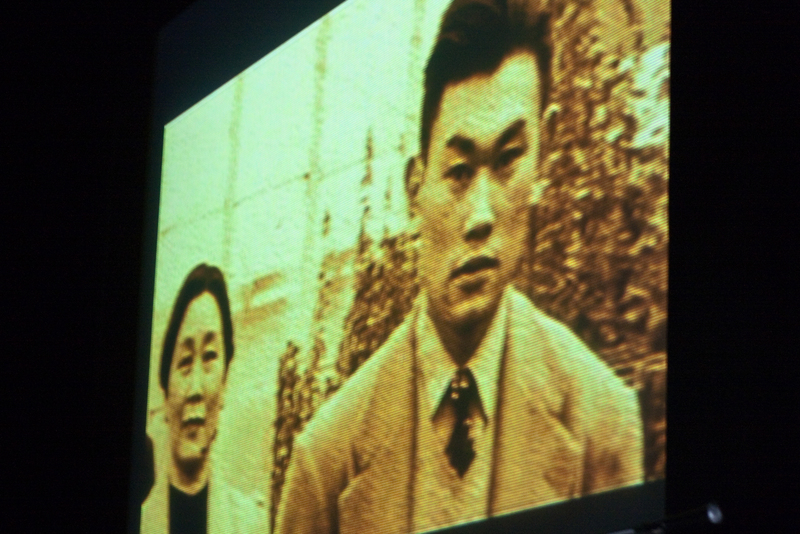 You can watch video clips of Mr. Korematsu and learn more about his history and legacy at Korematsu Institute’s Web site. Also, visit the Asian Law Caucus to learn more about current civil rights issues affecting Asian Americans, as well as Americans of all ethnicities. This entry was posted in Asian American, Photography and tagged Asian American, Canon 40D, Canon 50mm/f1.4, civil rights, Fred Korematsu, Fred Korematsu Day, Jesse Jackson, Warren Furutani.